It’s January, which means I jump every time the mailbox door slams. This is the time of year when seed companies send out their catalogs, and I challenge the most dirt-adverse person out there not to feel just a TEENY bit tempted by some of these absolutely gorgeous flowers and veggies. Actually, these flowers didn’t come from Renee’s seeds. I shot the image as we were traveling down I-75 south, headed to Atlanta from a trip out of town. 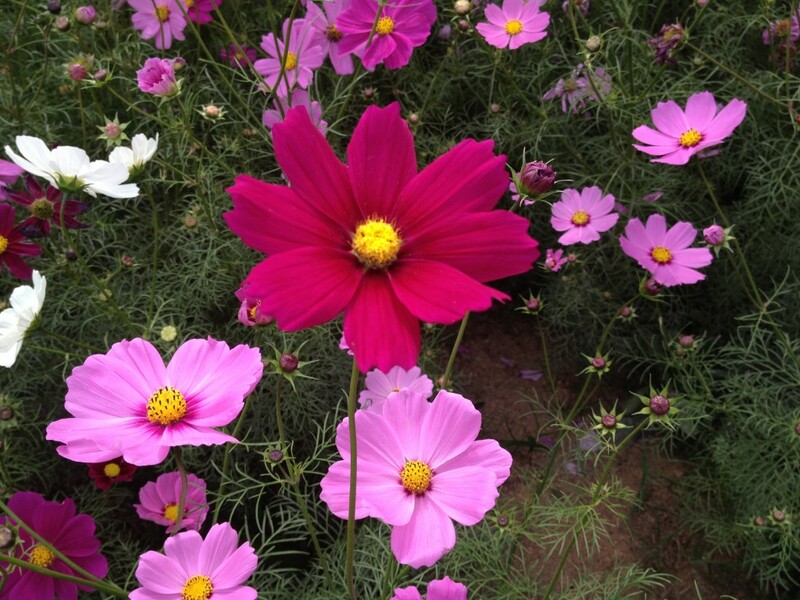 These cosmos are planted and maintained by the Georgia Dept. of Transportation. Even if you live elsewhere, you can visit their site for a list of flowers that grow along Georgia roadways and tips on how to grow them in your own garden. Thanks, Georgia DOT! 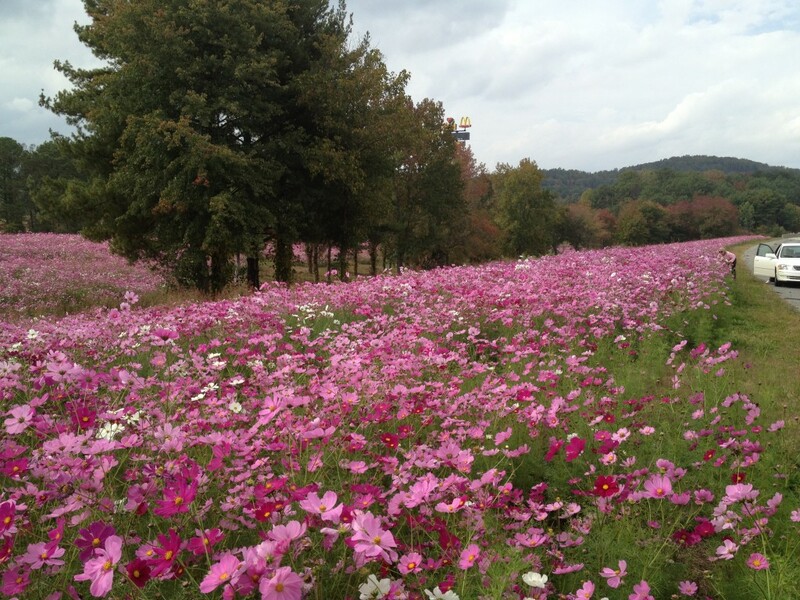 Here’s how the flowers look from the road, planted in one breathtaking sweep of pink, dotted with a few white blossoms. See the woman in the far right of the picture? She stopped her car in the emergency lane–something you’re not supposed to do–to make a few photos. Irresistible! Many states have programs that allow them to plant wildflowers, including Texas, home of the beautiful blue bonnets. It’s a great alternative to planting grass that requires mowing, so we use less fuels that add to our air pollution and increase the noise level along our highways. Speaking of which….a big carpet of cosmos, scattered around the yard, makes a great alternative to mowing your own grass, too. It’s easy to start their seeds indoors, about 4-6 weeks before the last frost, and transplant outdoors when the weather is reliably warm. These pretty annuals tolerate heat and drought, aren’t fussy about soil, attract butterflies, and make good cut flowers. What’s not to love?